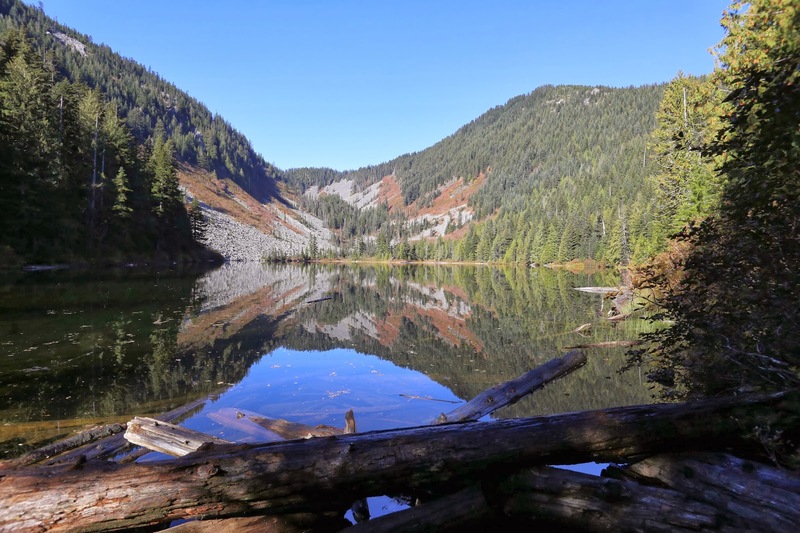 Talapus Lake is easily accessible in the summer, and an excellent snowshoe trip in the winter. The valley on the far side leads up to Rainbow and Island Lakes. Inconveniently, the trail to get there necessarily detours a fair distance along the ridge to the upper right, as there's no easy way to negotiate the steep slopes on either side. Lovely shot! Love that log in the foreground.